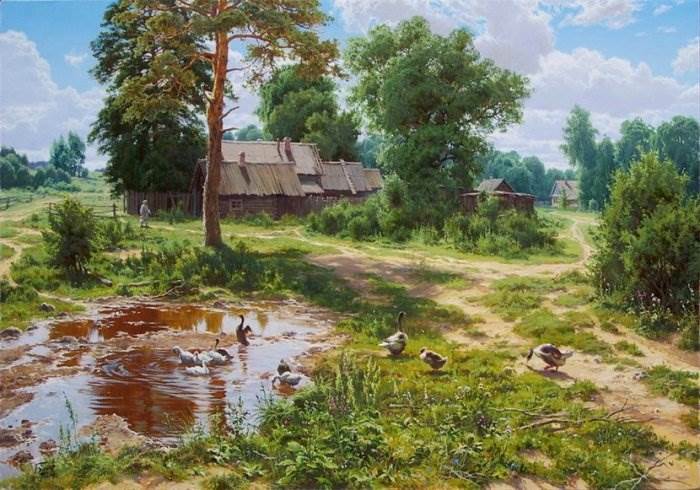 Sergey Basov — Russian painter-пейзажист. 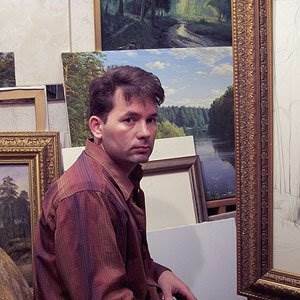 Born in the city of Yoshkar-Ола in 1964. 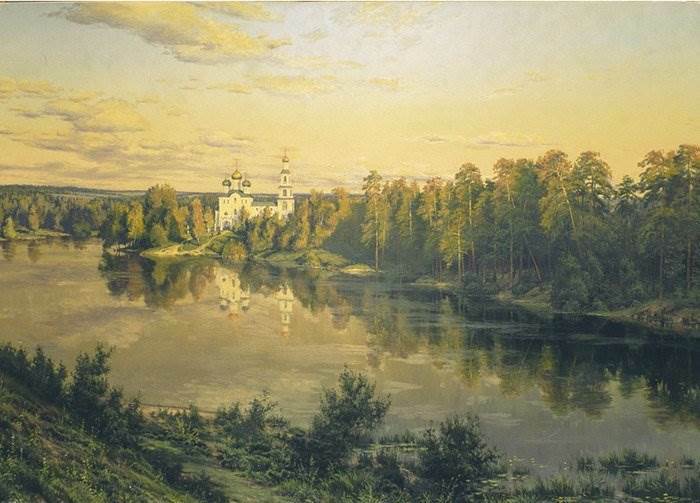 The started painting in 1980. 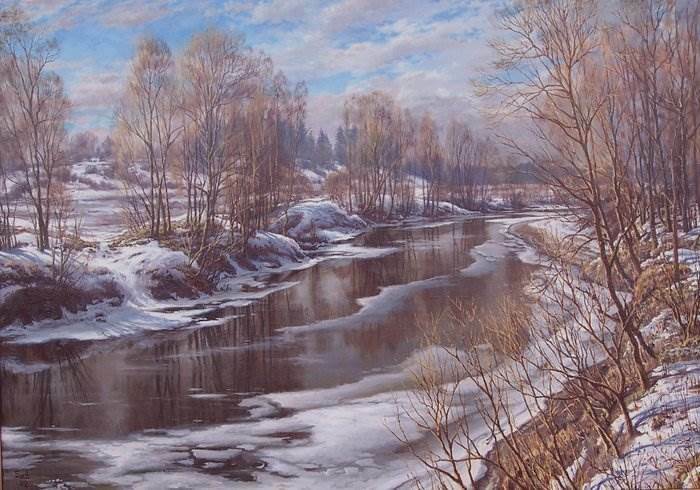 For his artistic career Sergey Basov has held many collective and personal exhibitions. 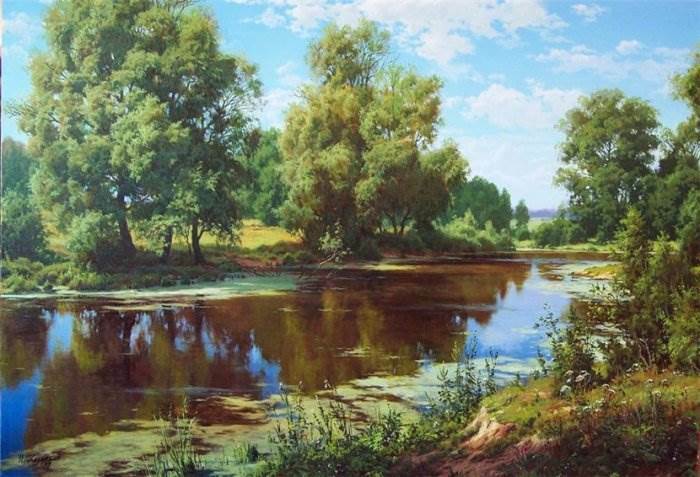 Is a member of International Art Fund and the Professional Union of Artists. 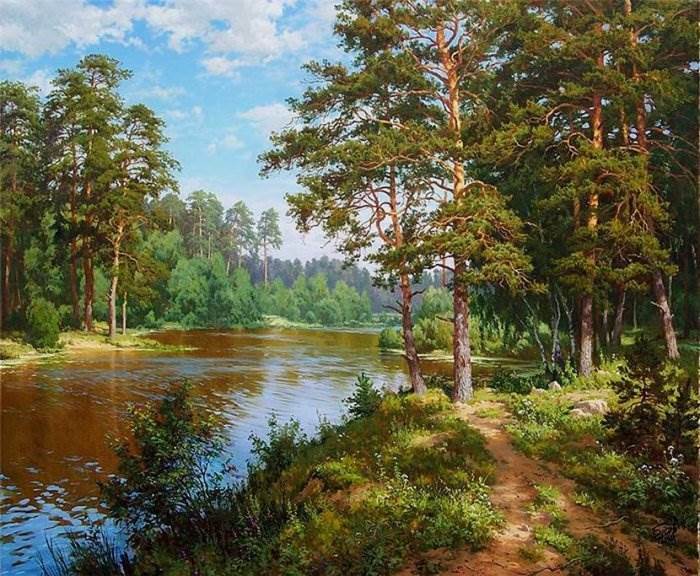 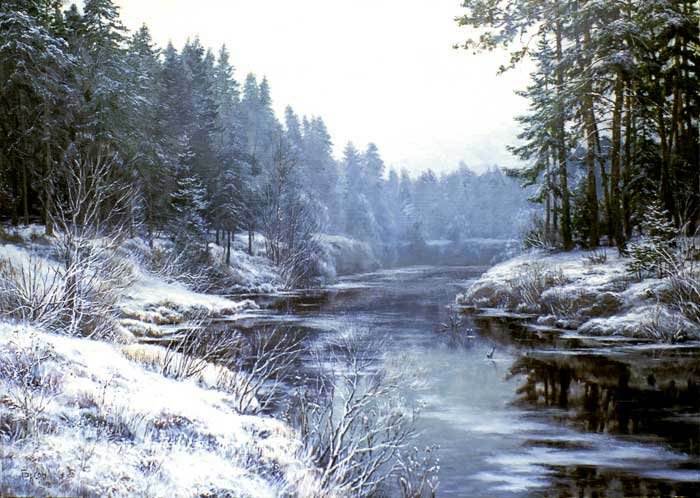 Many have compared the works of Sergei Basov with the landscapes of the great Russian painter Ivan Shishkin. 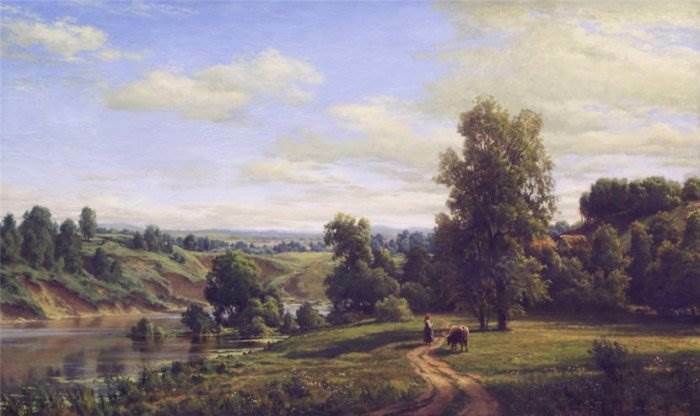 Sergey Basov says:" Я – Mari, was born in Yoshkar-Оле, and spent his childhood with his grandmother in the village. 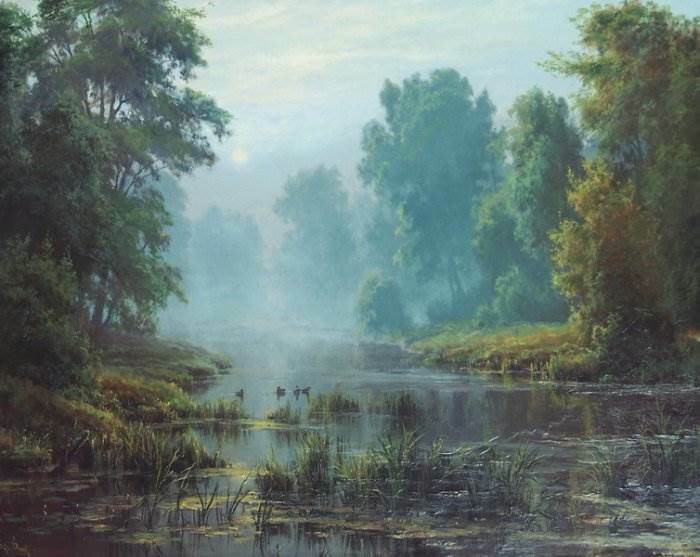 There are plenty of lakes with steep, under 30-50 meters banks. 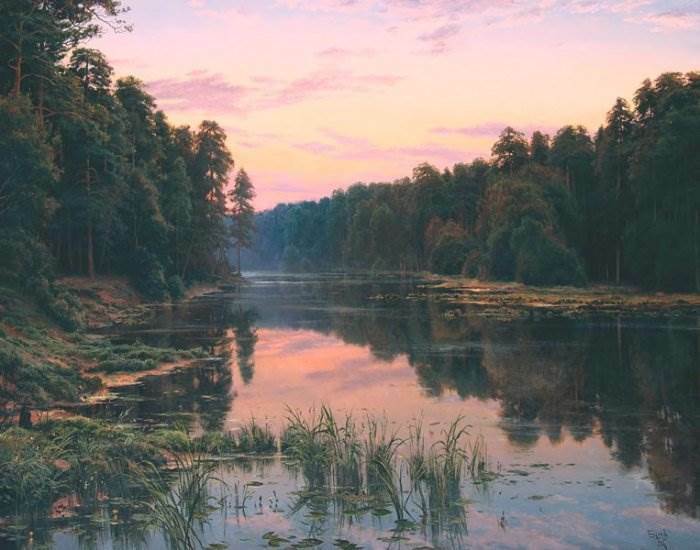 Our lakes you can write at any time of the day, and they will always be new. 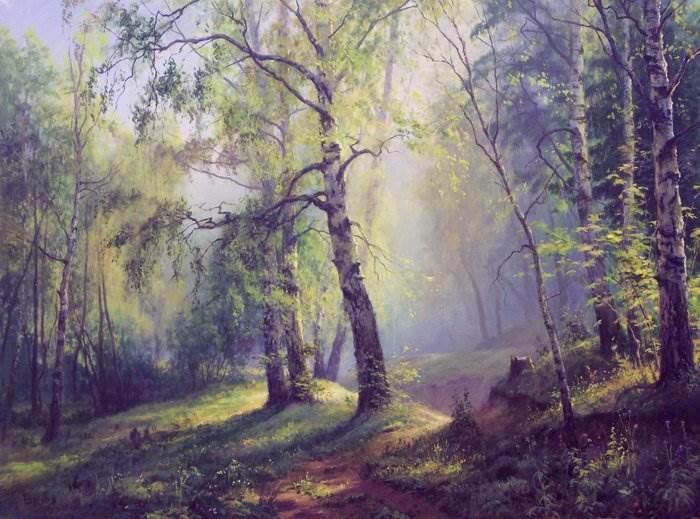 Nature is always so: it is permanent, and instantly changeable. 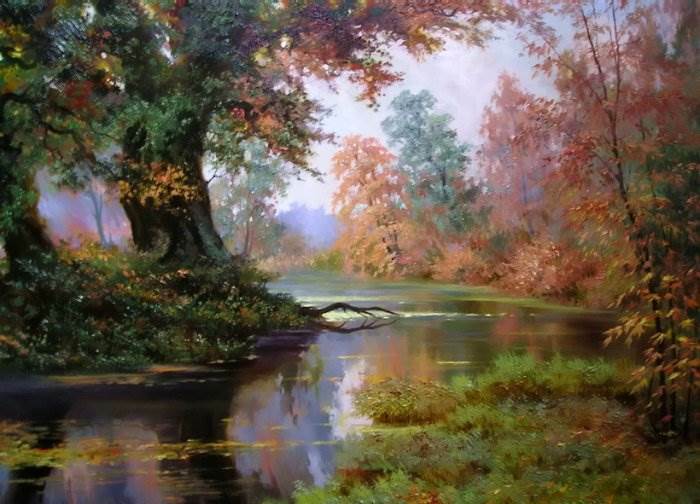 I like it and that-то barely noticeable, and that-то эпическое...". 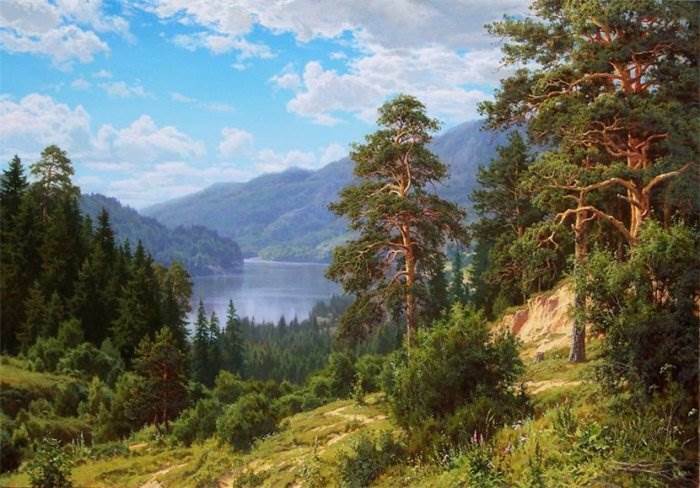 Paintings @- this is camping, a poetic celebration of the beauty of the Russian land. 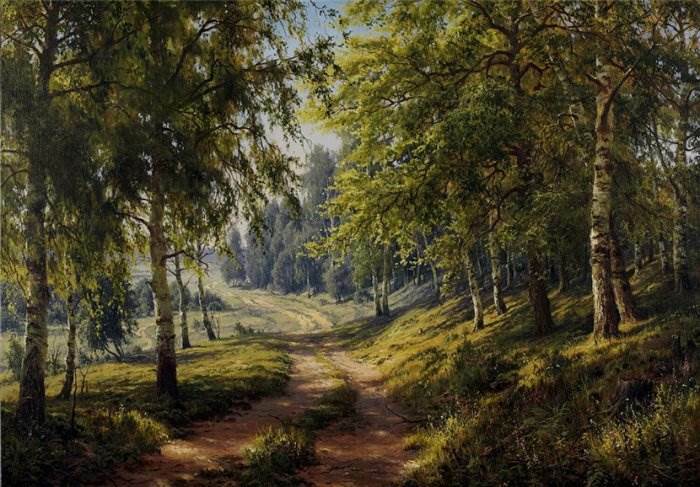 Looking at the pictures, you can hear the noise of the wind, rustling leaves, the smell of a birch grove, the chirping of crickets in the field. 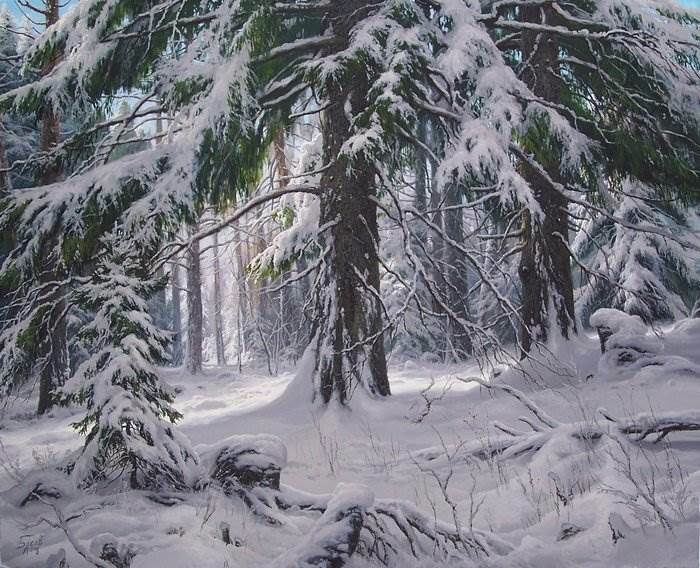 His paintings the artist paints in different seasons and at different times of the day. 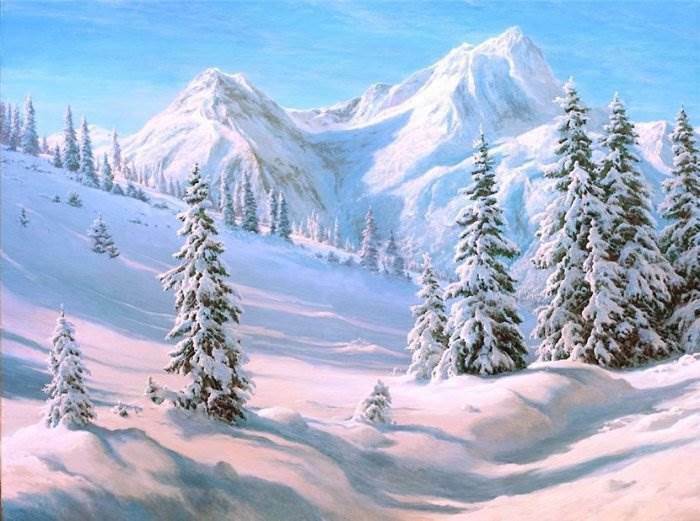 Hot summer, gloomy autumn, clean and bright winters, joyful and colorful spring. 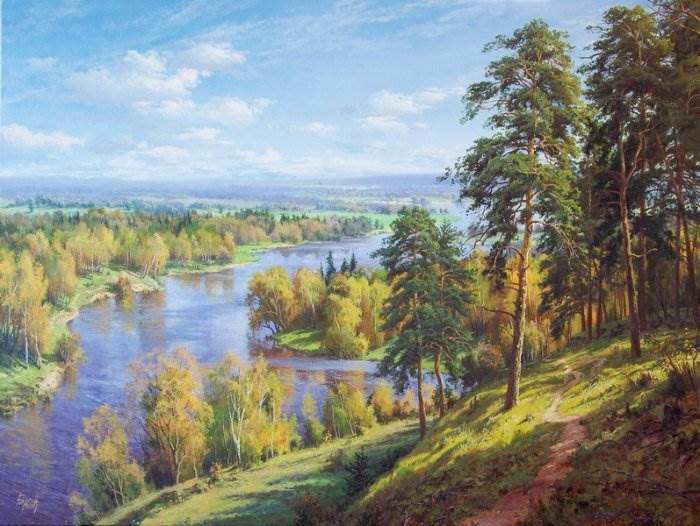 In each of the seasons, the artist finds his beauty, and does it so skillfully that anyone familiar with the Russian nature, often in the woods and the Russian hinterland, easily able to stir up your memory of pleasant memories and images of beautiful and awesome nature that is breathtaking and makes the heart beat faster. 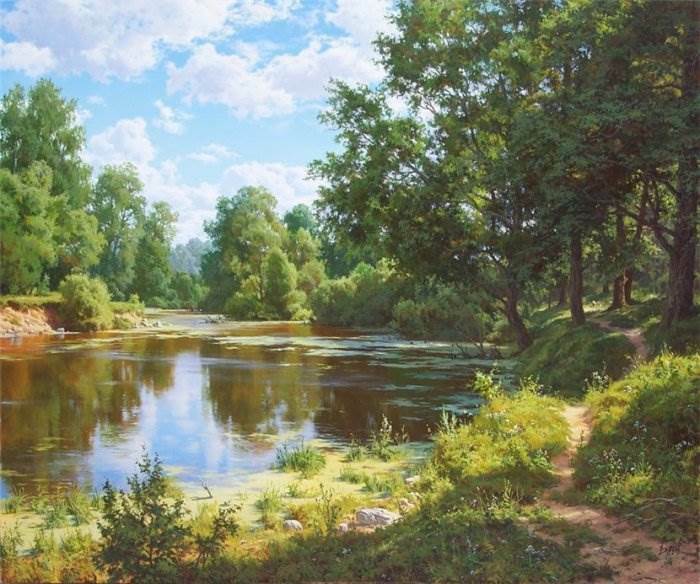 Landscapes by Sergey Basov — is poetry of painting, lyric and sensual naturalness of nature. 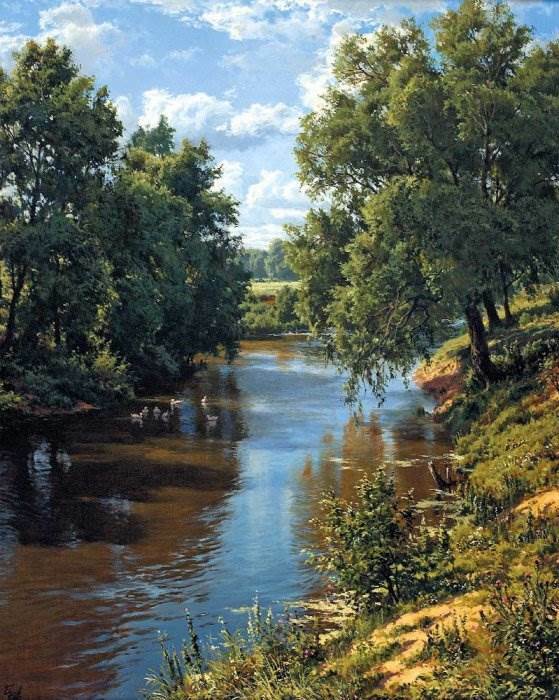 The painting is very realistic, but the written is so inspiring and lyrical, that to call them a photographic display of nature or hyperrealism is simply impossible. 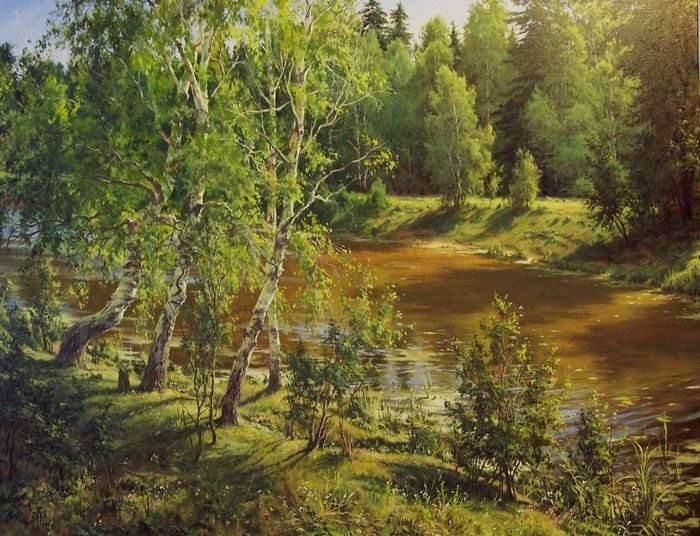 In each of the paintings present not only a wealth of colors, but a soul, a certain stirring depth which gives the impression and makes you into thought and memories. 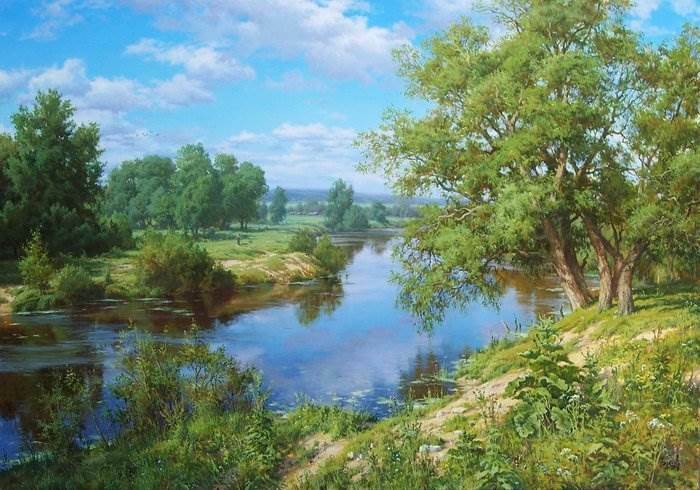 The art of Sergey Basov soothes and brings harmony into the heart of the beholder.